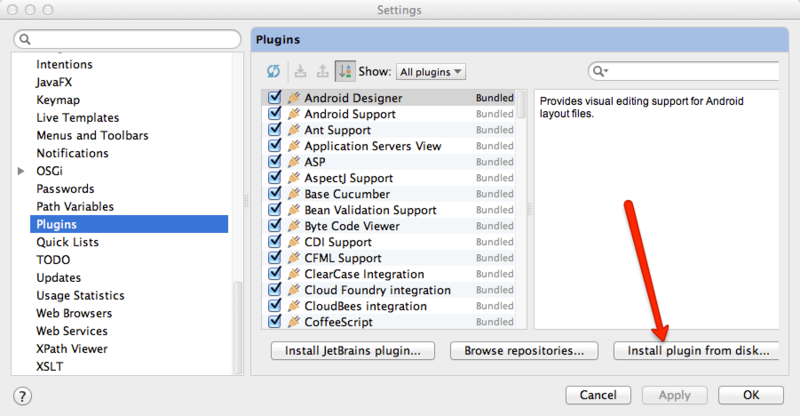 Go to Jetbrain download page and install latest free community edition. As of time of this writing the latest IDEA version was 12. Depending on the machine this may take 10-20min to compile. Make sure you specify correct idea.community.build variable which should point to recently checked out IDEA community repo. This is a binary distribution we were looking for! Run IDEA, and go to Preferences->Plugins and click Install plugin from disk button, then select ro.redeul.google.go.jar file from the previous step. Make sure to add your project pkg folder under Classpath and your project sources under Sourcepath tabs. For lazy ones, here is a link to compiled binary! The example using the “1.1.1″ directory did not work for me. 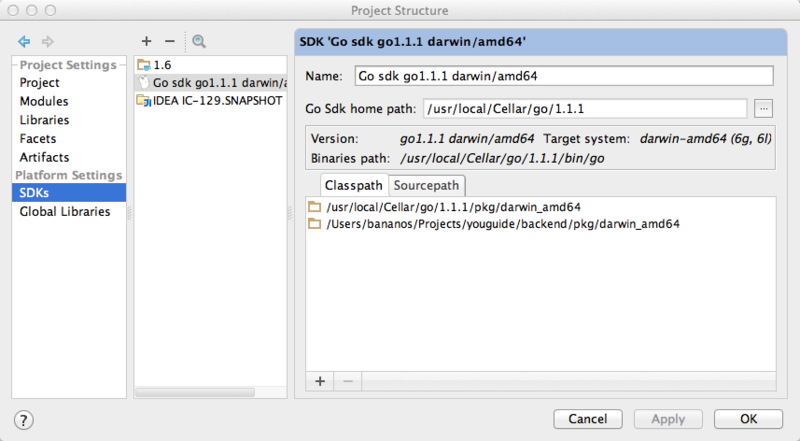 I had to create a Go SDK by selecting the “/usr/local/Cellar/go/1.3.3/libexec” path. Well, the post is almost 1 year old and Go matured since then. Thanks for noticing!